One of the most crucial decisions you will make for your website is selecting your web host. It’s essential to choose the right hosting provider. 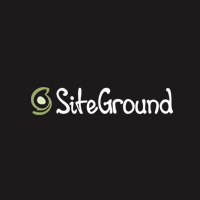 SiteGround, provides managed WordPress hosting that does not miss a thing! Their servers, available in 3 different data centers across the world, are optimized for ultimate WordPress speed and security and they provide many goodies for the WordPress fans – automatic updates for the core WordPress and its plugins, WordPress SuperCacher for ultimate speed acceleration, staging tool for the coders and unique WordPress autoinstaller for the starting users – all crafted in-house by the SiteGround team. All contact should be done directly via email with your selected Host. Please note that our recommended Hosts prices may vary. TieLabs is not responsible for any data loss or damage that may be experienced when signing up with a recommended Host. We receive commission from referring you to some of these products/services.